They say we are in the Golden Age of comics reprinting, and 2013 was certainly a banner year for this, and publishers like Fantagraphics, Dark Horse and IDW are out there doing an amazing job in representing the classic strips and forgotten comics of the past. From the Ditko Library, the American Library of Comics, Yoe Books, the EC Library, Artists Editions, Masterworks, Archives, the Simon & Kirby Library and more. One wonders if the well will ever run dry, but then there will be an announcement of another archival collection to remind one of how much material is actually out there left to be unearthed. 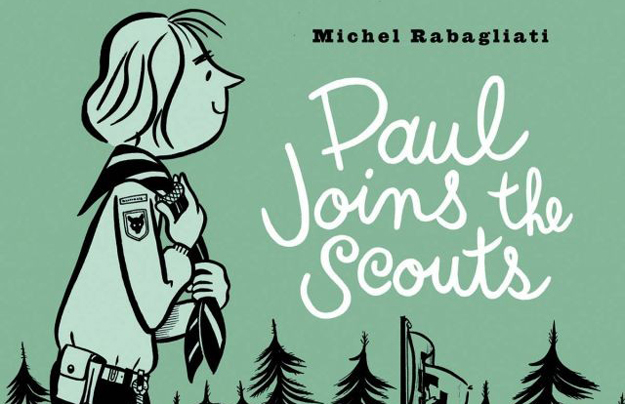 The original French publication is only a year old, so it’s great to see Conundrum keeping on top of these books as they are released, and I hope they have a chance to reissue the earlier volumes in the Paul series that were originally published by D+Q. 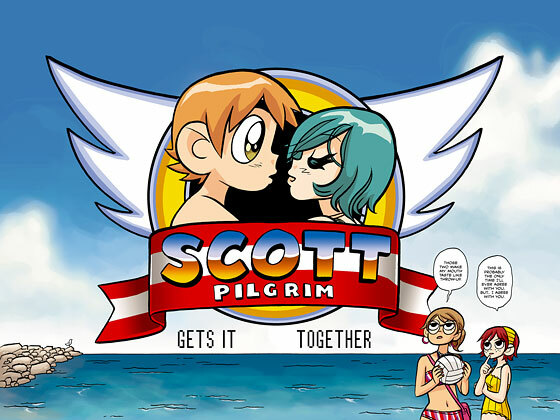 While I can read French, sometimes the context is lost, so reading them in English helps – and the ending to this particular entry into the series is very powerful and quite sad. The first of two Foster books on my list, Prince Valiant is lush and vibrant, more powerful than ever in these remastered volumes. The detail that Foster put into this strip is astounding, and it’s great to be able to view these pages at the larger sized 11 x 17 format of these collections. 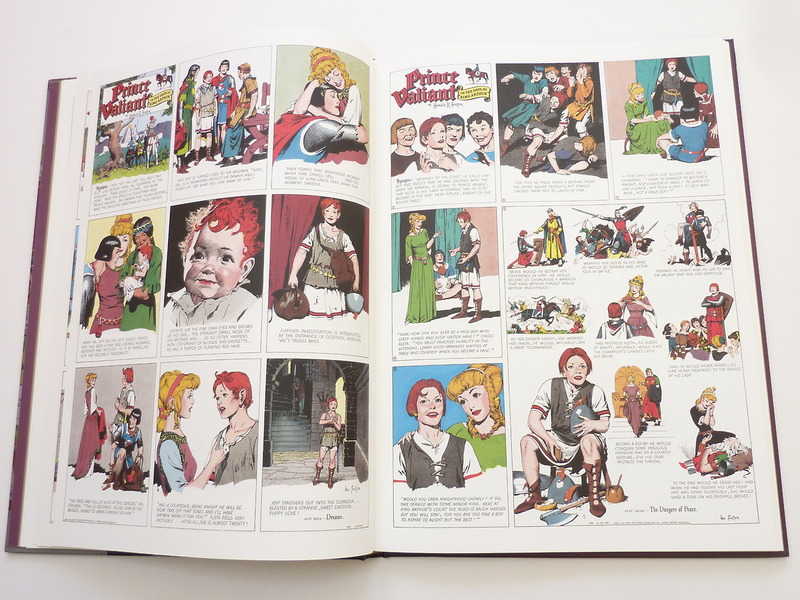 Edgar Rice Burroughs personally selected Canadian artist Hal Foster to be the illustrator of the comic strip starring his famous Ape Man, one of the first of the 20th century’s pop culture star adventure heroes. 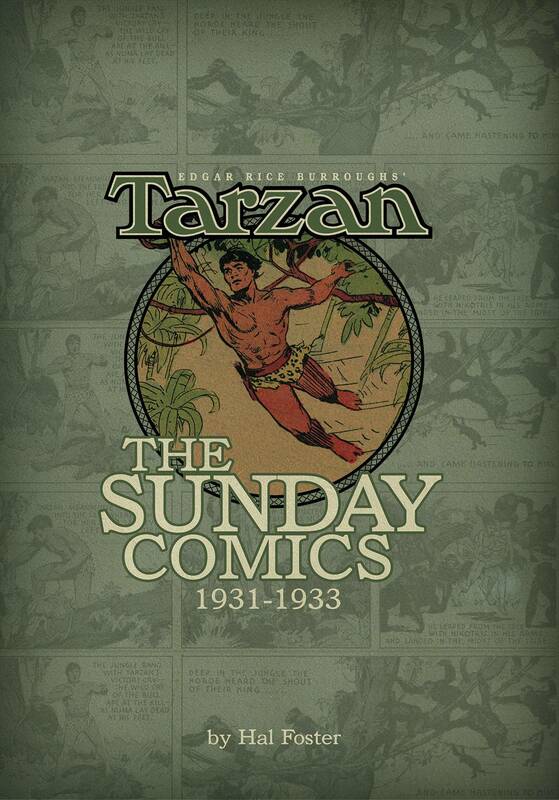 Novels, movies and more were turning Tarzan into a household name but it was his comic strip that brought the adventures right into every home and made him a sensation. In turn, it would make Foster one of the most well known and well admired adventure strip cartoonists in the world, and his turn on Tarzan gave him the clout to be handed his chance at a character of his own making a decade plus later by the most powerful publishing figure of the print era (Wm. Randolph Hearst). Dark Horse presents these pages for the first time in tabloid format and the results are spectacular, if only they had been able to retain the extras that were featured in the NBM versions from the 1990’s. This book is massive, about the size of an IDW Artist’s Edition (~12 inches by 18 inches). 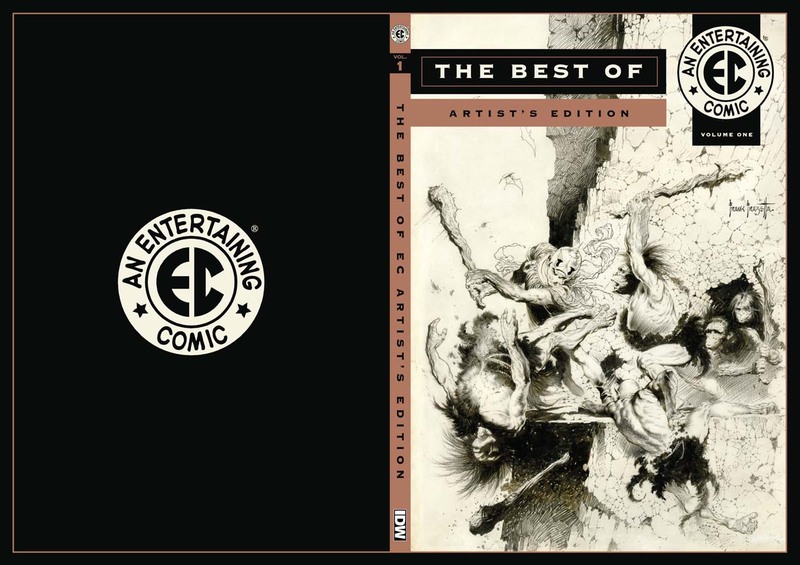 Probably the standout volume in a very good year for the Artists Edition program, with the MAD AE, Jack Davis EC Stories, Mark Schulz Xenozoic Tales and more all being amazing collections of craft. On the other hand, 2013 was a bit of a shark-jumping year for the program with a couple of duds (Bone, Tor) and some fans of the series telling me they are taking a break — but for a select group of collectors (including myself), these are real treasures. Hard to sore treasures, but treasures nonetheless. One collector picked up three copies of this edition so that he could slice up two and frame the stories and covers around his home and keep one safe to read. If you are avoiding these remastered and coloured hardcovers, thinking that the original black and white trade paperbacks are good enough then you are WRONG. Just plain WRONG. Nathan Fairbairn’s colours are transcendent and the books are a revelation in this new format. Do yourself a favour and reconsider. Plus, the extras are fun. 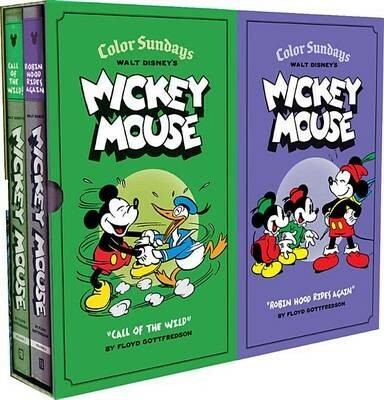 Many honourable mentions like the Walt Disney’s Mickey Mouse by Floyd Gottfredson hardcovers – especially the two color sundays volumes, the Flash Gordon/Jungle Jim collections from IDW, the EC Library collections from Fantagraphics, and Titan’s Marada the She-Wolf. Marvel has done a great job in getting their Marvel Masterworks out in both hardcover and softcover format, it’s unfortunate that the pool of collectors for the hardcover collections is shrinking, but there has been growing interest in the softcover volumes at the Lounge this year. DC Comics – get your Archives program up and running again. At the very least, get more volumes of the Golden Age Superman, Batman, Captain Marvel/Shazam and Wonder Woman comics out there along with more silver age Batman/Superman/Wonder Woman. Would love to see collections of the Silver Age Spectre and one of the Bat Lash comics. The Legends of the Dark Knight spotlight collections are fun, but pricey.